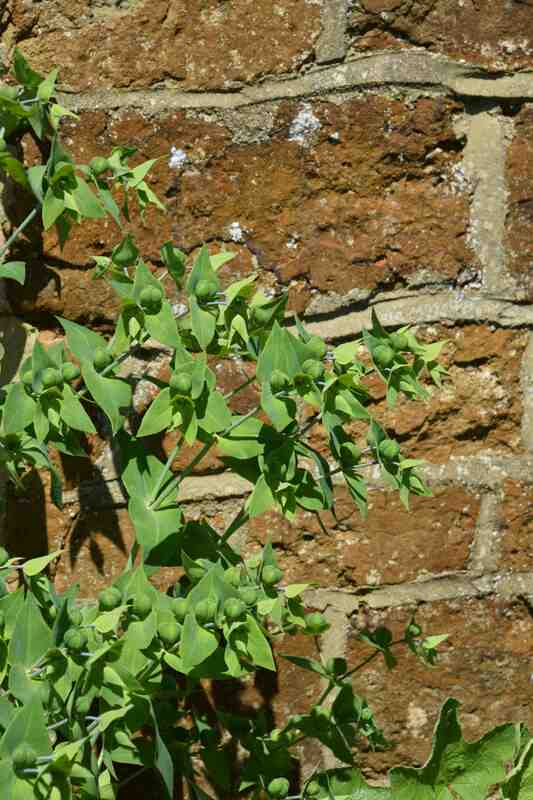 The mole plant (Euphorbia lathyris) is one of those plants that pops up in gardens, often unannounced and uninvited, that causes consternation because, when young, it looks so distinctive and odd. The narrow leaves are arranged in pairs at 90 degrees to each other in four rows down the tall, unbranched stems unless the growing point is damaged. 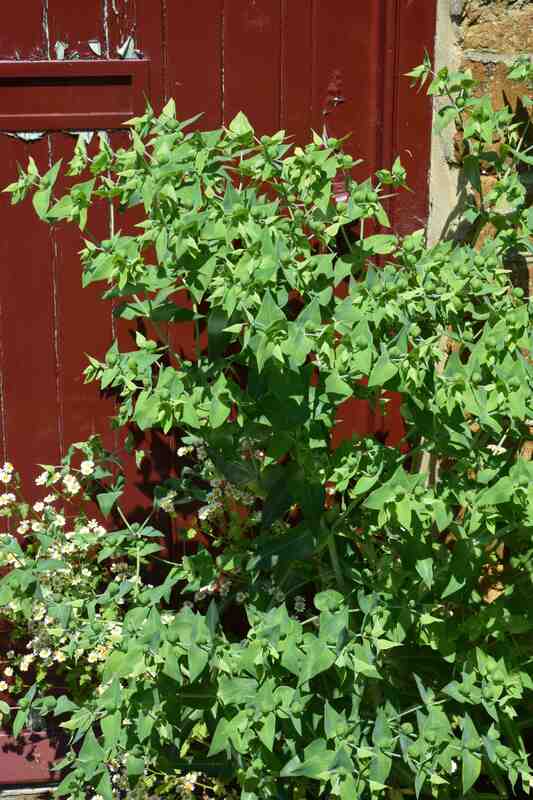 A biennial, it spends the first year as a rather architectural, upright stem and then, in the second spring starts to branch at the top, forming a large head of green bracts around insignificant flowers and then round, slightly triangular seed pods that explode when ripe, hurling the seeds around the garden and even next door. In good soil it can easily reach 1.2m high. The common name comes from the fact that secretions from the roots are supposed to repel moles. I have never known anyone who has been able to confirm this but it makes a good sales pitch for nurseries that want to sell this easily grown and potentially invasive plant. It is native to south Europe and thrives in dry soils. The sap, in common with most euphorbias, is poisonous or irritant though it has been used in the past to remove moles and warts on the skin (not to be recommended). Although certainly a handsome plant it has the potential to be a nuisance. ← A sutera by any other name? Bacopa? One we haven’t got. No rating? LOL – no – it is so invasive I didnt think I dare encourage anyone to plant it!